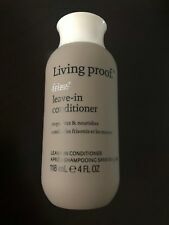 Living Proof No Frizz Leave-In Conditioner 4 oz - NEW!!! Living Proof Dry Shampoo 4 Ounce - Pack of 1, 2 or 3 - YOU CHOOSE!!! The powder-based formulas soak up oil often leaving behind a dirty residue you can see and feel. That's not clean hair - that's just dirty hair in hiding. Hold canister about 6-10" away from dry hair. Living Proof No Frizz Leave-In Conditioner 4 fl oz Condition is New. Shipped with USPS First Class Package. 5 out of 5 stars - Living Proof No Frizz Leave-In Conditioner 4 oz - NEW!!! 10 product ratings10 product ratings - Living Proof No Frizz Leave-In Conditioner 4 oz - NEW!!! Trending at $15.19eBay determines this price through a machine learned model of the product's sale prices within the last 90 days. 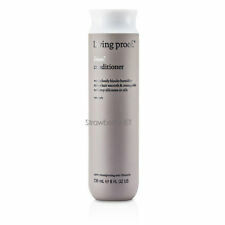 Living Proof PHD Dry Shampoo 1.8 oz Or 4.0 oz - Pack Of 1 Or 2 - YOU CHOOSE!!! A dry shampoo that cleans beyond ordinary dry shampoos. We are very serious against false claims. Any attempts with intend to manipulate our system will result in appropriate repercussions. (excludes samples). No exceptions. The first new anti-frizz technology in over 30 years, it does what silicones can't;eliminate frizz by blocking humidity-without weighing hair down. No Frizz shampoo enhances the benefits on No Frizz Stylers, leaving hair deeply hydrated, incredibly soft, smooth and, of course, frizz free. Sulfate-free, silicone-free & color safe. Thickening conditioner for fine flat and limp hair. Full Conditioner - 8 fl oz. Color safe and sulfate free. Transforms fine or flat hair to look and feel like naturally full, thick hair. New ListingLiving Proof Perfect Hair Day Shampoo and Conditioner 8 oz. Shampoo and Conditioner. Makes hair look healthier instantly. The result: your hair will look beautiful and healthy while staying cleaner longer. 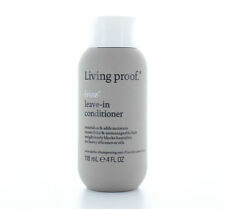 Living Proof Leave-in Conditioner 4 oz. I will do my best to get it for you. Shampoo & Conditioner. Travel Size Duo. Living Proof. I will do my best to get it for you. New ListingLiving Proof FULL Shampoo and Conditioner 8 oz. Shampoo and Conditioner. Living Proof FULL. The result: your hair will be set up for natural fullness and body, and will stay cleaner for longer. Color Safe. Color safe. Safe for chemically treated hair. Living Proof FULL Shampoo+Conditioner+Thickening Cream Travel Size Set! FULL Thickening Cream (0.5 fl oz). -FULL Shampoo (1 fl oz). -FULL Conditioner (1 fl oz). You will receive a travel size set from Living Proof! 1 More 70% Full (see the line I drew to show the full level). Condition is New. LIVING PROOF Full conditioner for boosting, detangling, shine popping. All types of hair. New, unused, authentic. Living Proof Perfect Hair Day Shampoo & Conditioner 1oz TRAVEL DUO SET - New! 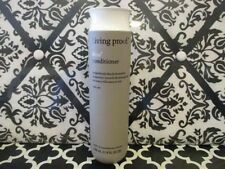 BRAND NEW!~Living Proof No Frizz Conditioner For All Hair Types 710ml/24fl.oz. Living Proof • Restore Conditioner for Dry Damaged Hair • 8oz • New • AUTHENTIC. Condition is New. Shipped with USPS First Class Package. Living Proof Perfect hair Day Dry Shampoo 198 ml - 4.0 Oz US - New . Condition is New. Shipped with USPS First Class Package. The end result is hair's porosity is normalized to be like virgin hair. We are very serious against false claims. Any attempts with intend to manipulate our system will result in appropriate repercussions. Apply to clean, wet hair after shampooing, focusing on midshaft to ends. Spread evenly throughout hair. Expiration Date: 9/2019 or later. 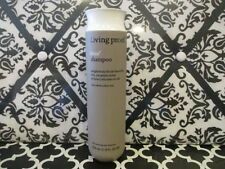 Living Proof Timeless Shampoo New $42 in stores. Condition is New. Shipped with USPS First Class Package. Type: ShampooBrand: Living ProofSize: 8-11.9 oz.